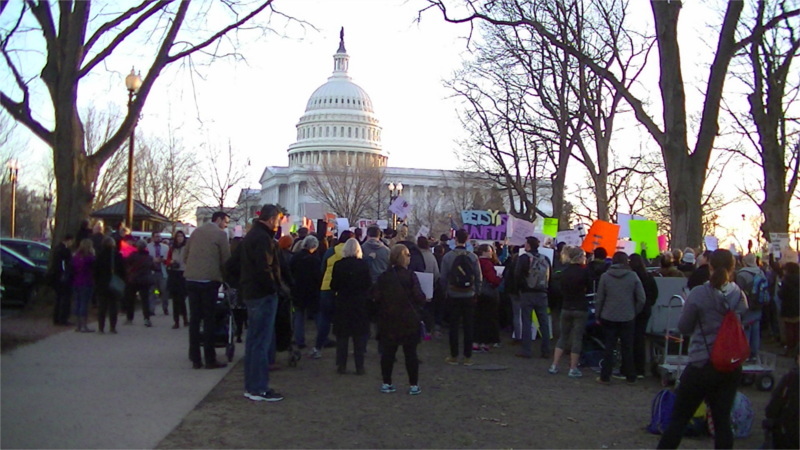 On the 6th of February, opponents of Trump's Secretary of Education nominee Betsy Devos gathered in Upper Senate Park. Inside, the Senate was split 50-50, meaning Mike Pence would get to cast the time-breaker favoring confirmation and the GOP kept the Senate in session. vowing to continue night and day. In the end, VP Mike Pence rammed the nomination through with his tiebreaker vote. 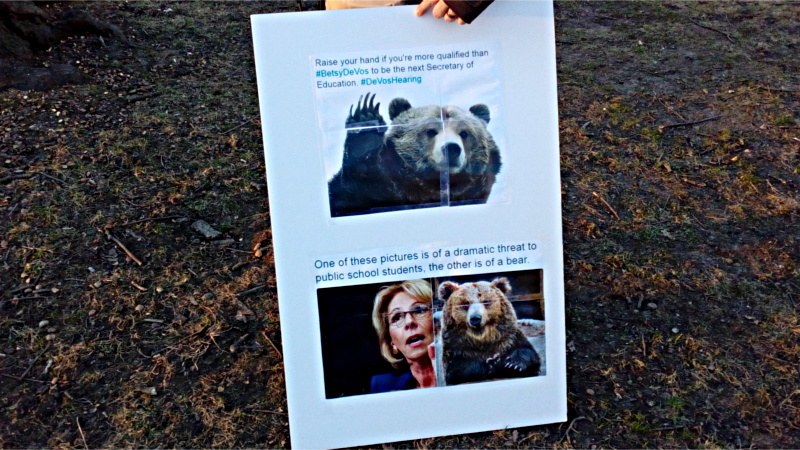 Betsy Devos was said by protesters to have "not done her homework" and to be a completely unfit nominee for Secretary of Education. A speaker on behalf of transgender speakers worried that even anti-bullying programs that save lives would be scrapped along with civil rights protections for public school students. Instead of supporting students such as transgender students who can face extremely difficult times, Betsy Devos is known as a supporter of privatizing public schools. Her family as "donated" $200 million to the GOP, and many think this is the real reason Trump nominated her at all. speaker on behalf of Transgender students says Betsy Devos "has not done her homework"